Such as a touch screen that can be viewed in direct sunlight and easily used with dirty or wet work gloves. An extremely loud speaker, noise cancellation, a powerful battery, water and drop resistance and an optional 3-Year Service Level Agreement are just some features of the Smart-Ex 201 that provide peace of mind to enterprises and workers alike. 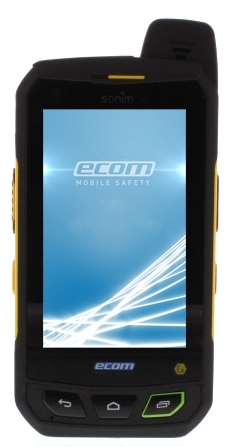 Made of extreme shock and scratch-resistant Gorilla Glass 2, the large display of this intrinsically safe smartphone increases the workers productivity due to the larger work surface. The brightness, sharpness and resolution is much more easier on the eyes. Google certified / certification (GMS) cleans the way for more than 700,000 software applications. The FOTA (Firmware Over The Air) ability keeps the intrinsically safe smartphone everytime up to date. Just as you're used to it with your private Smartphone.